I’m a 29 year old married mother of two boys. I’m an energetic , fun and sometimes goofy person who loves The Lord, family, music, editing, and having fun with hair/beauty. I love sharing my hair journey with others in hopes that it will be helpful. Many YouTube viewers know you as “NaturalMe4c”. If a fan were to bump into you at a grocery store, what name would you prefer for them to use to address you? My name is Crystal, but I also go by Kriss. If I’m not mistaken, you went natural in August 2012. 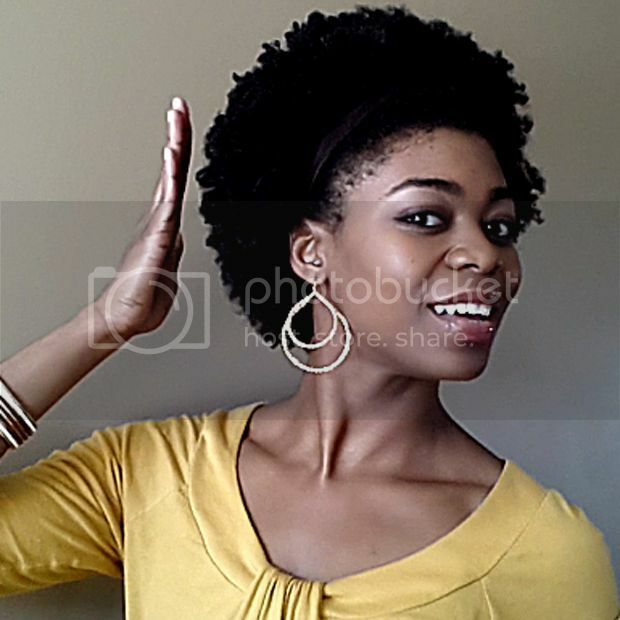 What sparked your decision to go natural? I’ve always had very fine hair with a sensitive scalp … As a child, I was pretty insecure and I never really enjoyed my hair and the things it did. For instance shrinkage… I did not like shrinkage at all! I thought that having a relaxer would be the way to go for me and I BEGGED my mom at the age of 12 or 13 to get a relaxer. My hair would always have resistant sections that didn’t relax well, so I would leave the relaxer on longer than directed… which resulted in damage. In 2008, I discovered YouTube and started my hair journey. I tried texlaxing, but my hair still couldn’t handle relaxers and still thinned out! I realized that no matter how hard I tried to make relaxers work for me, it wasn’t going to. I started to examine myself and realized that I had never really given myself a chance to learn the texture God blessed me with. One of the questions I asked myself was, “Would God bless me with a texture that I couldn’t handle?” Nope! I knew I had to at least give it a try. For those of us presently entrenched in the world of natural hair ,you may or may not have noticed the term “natural hair nazis” is being used with growing frequency these days. 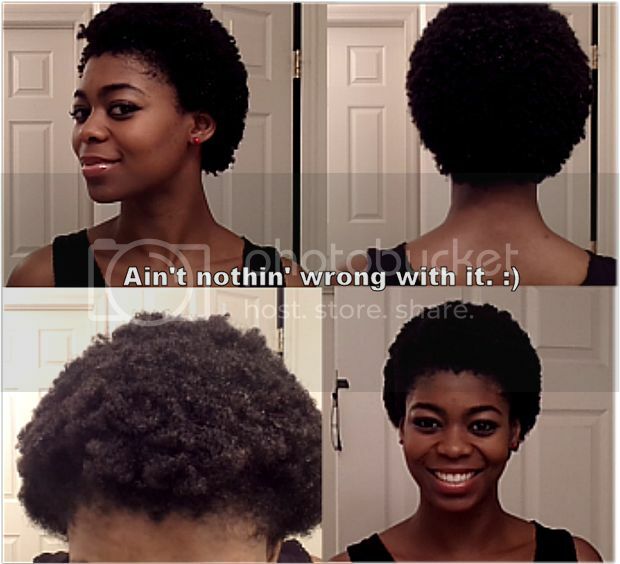 How would you define natural hair nazis to newly naturals? Honestly, I never really liked the term. However, from what I understand, it’s used to describe those who try to push their hair “beliefs” and practices, be it concerning: products, regimen, chemicals, ingredients, extensions, heat, etc., onto others. I think it’s very important to remember that everyones’ hair needs and hair journey are different. What may be best for one may not be best for all. It’s important to learn your own hair and decide for yourself. What does the term “natural” mean to you when used in the context of hair? To me, the term “natural hair” means, hair that has not been processed with things/products/chemicals designed to permanently alter the true texture of hair. When the video of your husband doing your hair went viral, how did that change your attitude towards your youtube channel? My husband Ty is hilarious lol! I still can’t believe some of the things he did in that video while attempting to style my hair! 🙂 That video, although it was fun, didn’t change my attitude regarding the channel. I always knew that I would want to share other aspects of my life on the channel at some point. I love the fact that “NaturalMe4C” is a diverse channel with a little bit of everything: hair/beauty, vlogging, spiritual/motivation, and other randomness! What has surprised you the most thus far on your natural hair journey? I think I’m most surprised at my love for shrinkage! Yes! The very thing that I couldn’t stand as a child, I love now. The styling possibilities that come with having hair that shrinks are endless! 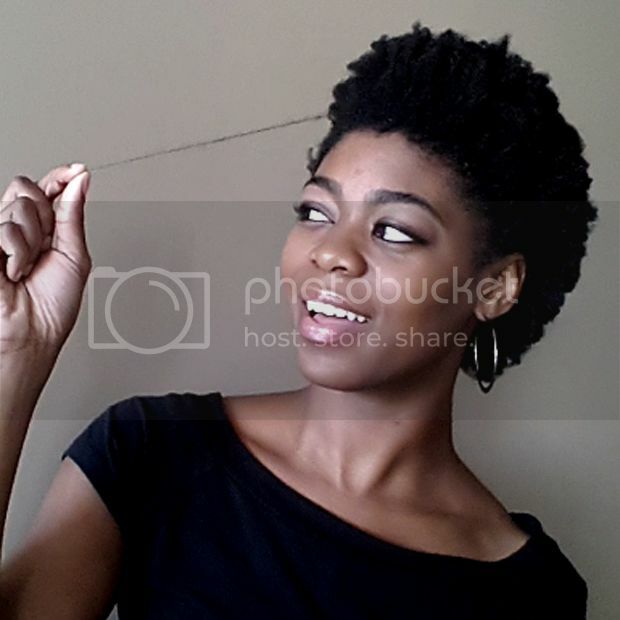 Shrinkage is something that I knew was a part of my hair type and I quickly realized that if I wanted a healthy relationship with my hair, I was going to have to accept the things that go hand in hand with it and work with it. Shrinkage is not a bad thing. Why did you select the name Naturalme4c as your YouTube username? Ty and I bounced around a couple of channel names before deciding on NaturalMe4C. To me, I think the name not only describes the channel, as in natural hair, but it also means that the channel will display “me naturally” in personality and life. “4C” connects with my hair type as well as my name Crystal. Phew lol! Name three YouTube vloggers you think newly natural 4c Hair Chicks should check out. These are three ladies who have great personalities and are informative as well. 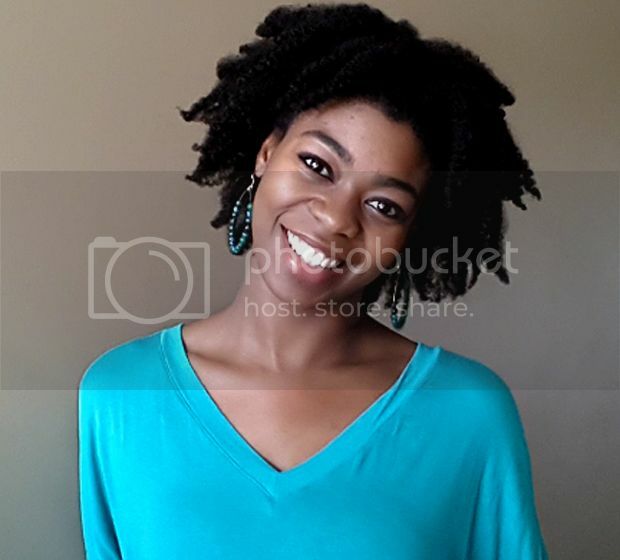 They provide great tips on their channels and discuss topics that may come up within ones’ hair journey. Finding great products to use in our hair is a big part of our natural hair journey. Listed below are several items. Please share with us your favorite product at the moment for each category. This is soo tough! I have several likes! On my blog, I have a list of things that I enjoy using on my natural hair that I update frequently as I try new things. What is the single most important step in your hair care routine? I think the most important step for me is moisturizing. If I don’t moisturize my hair properly, things will go VERY bad lol! I like to use the LOC method (liquid/leave in, oil, cream) and the LOCO method (liquid/leave in, oil, cream, sealing oil) the most. Shifting gears- one of our missions on 4cHairChick is to shift the conversations around beauty and to highlight underrepresented beauty. We’ve got a couple questions for you about beauty from a macro perspective. If you had to describe in 4 sentences or less to a stranger how brown skinned women are portrayed in the media what would you say. As a mother with young boys do you feel the need to intentionally reinforce certain types of beauty with your boys? Why or why not? If so, what kind of things do you do? Our boys are still pretty young thank goodness! I’m going to be a mess when they begin dating lol! When they do, we want them to decide for themselves what they are attracted to. As a mother, with our boys, I personally like to present myself in a modest way (personality, hair, makeup, clothing, etc.). Beauty is only skin deep. It’s not what you wear or what you possess. True beauty is spiritual. I want to make sure they understand that. For those looking to keep tabs on you, where can you be found online? So beautiful! I love her hair and her videos are awesome. She is a gem. Thank you for reading. God bless! What is the difference between oil and sealing oil in the LOCO moisturizing method? Thanks! There’s really no rule. 🙂 When I do the LOCO method for the last oil I like to use something that doesn’t necessarily penetrate the hair like grapeseed oil. Oils like avocado, olive, and coconut, are said to be able to penetrate the hair shaft so I’d use them for the first “O” instead of the last for longer lasting moisture. When I first started the LOCO method, I used avocado oil without issue because that’s what I had on hand lol. Again, there’s no rule just trial and error. 😀 God bless! you are cute as a button. love your style!